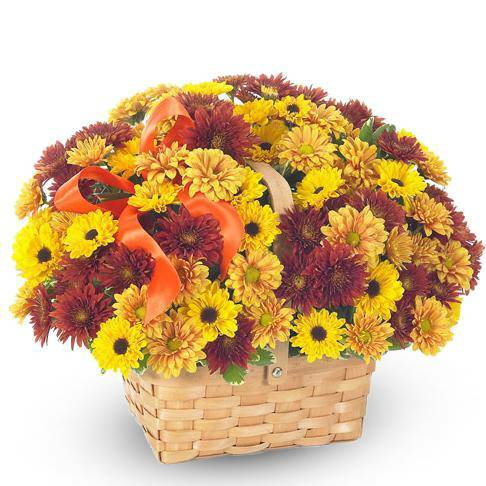 The Fall Blooms Basket evokes all the feelings that the Autumn season brings. The lively yellow and orange blooms make this piece an autumn favorite. Send for any and all occassions, your recipient is guaranteed to love it!